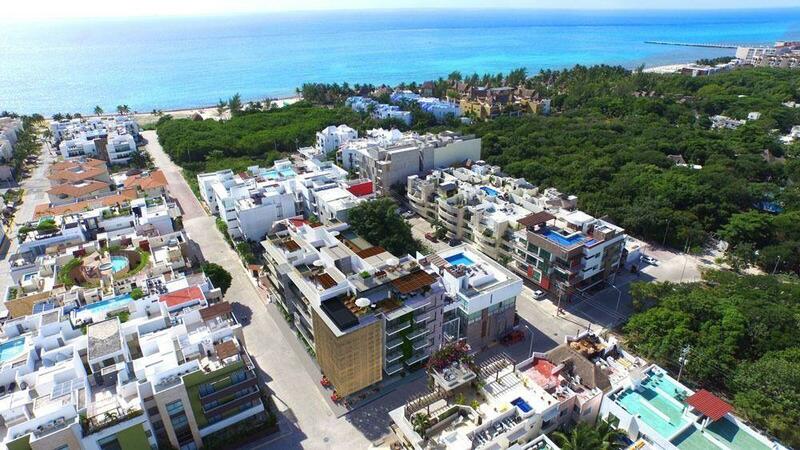 Beautiful modern colorful Mexican style in trendy area of Playa del Carmen known as Coco Beach. Only 3 min walking to the beach where you can also enjoy a quiet beach club. Livingroom with 2 sofa beds. Outdoor terrace and interior terrace. Building designed by Reyes Ríos + Larraín Arquitectos and built with high quality and luxury materials.